D16/M Peripherals Page. Click on pictures to get larger/higher quality images. The D16/M Minicomputer Page itself has become a bit cluttered; so here is a separate one to describe the various plug-in modules. 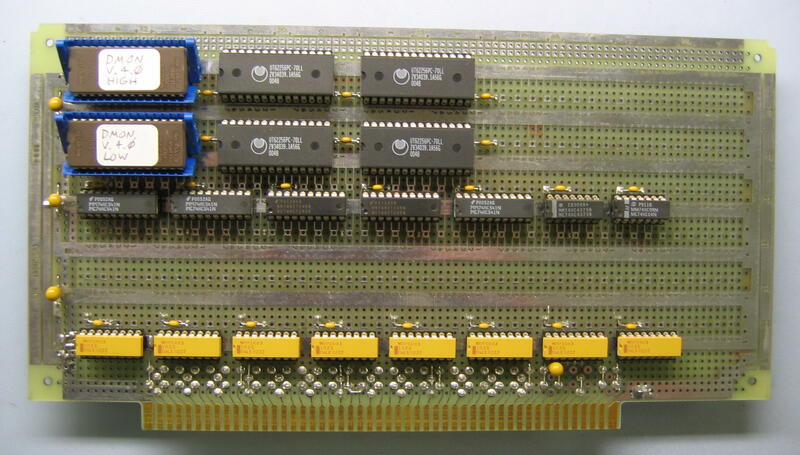 « This is a photograph of the D16/M Main Memory and Bus Terminator Module. 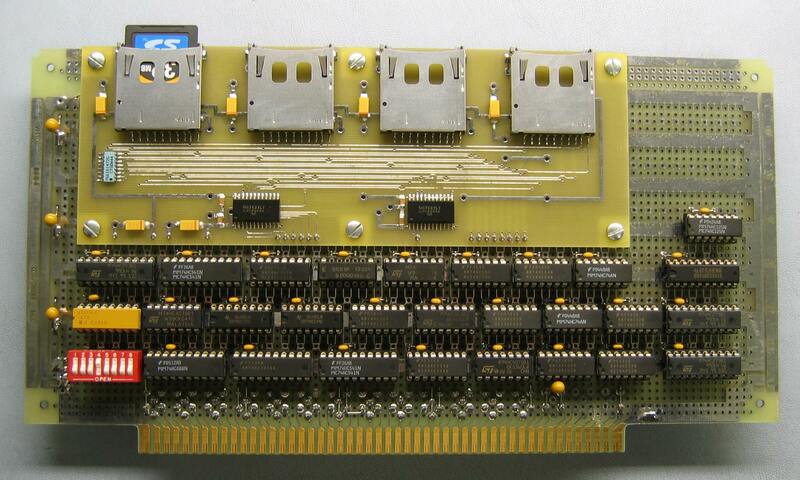 It carries 64K words of CMOS RAM, 32K words of EPROM, and termination resistors for the D16/M bus. 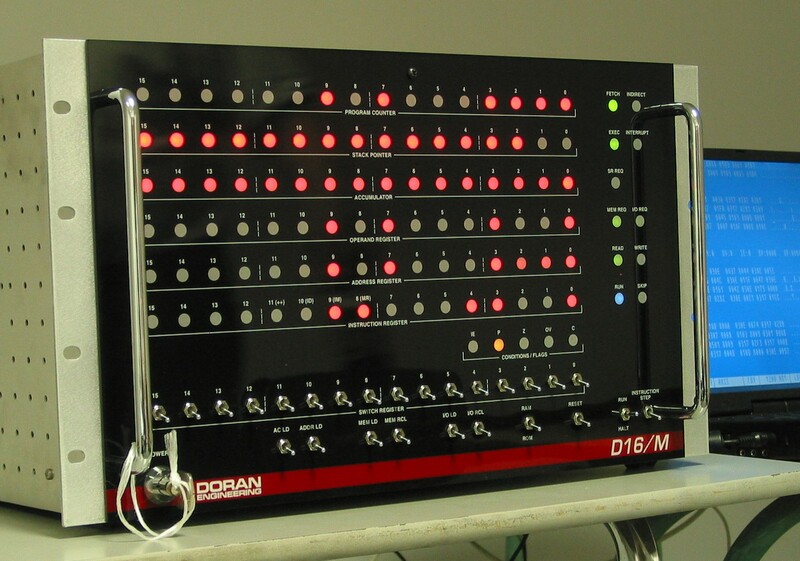 « Here is the Serial/Parallel I/O Module. It provides two RS-232 compatible serial ports and two Centronics-compatible printer ports, and supports either polled or interrupt-driven operation. « This is the new SD Card Interface Module. It allows the D16/M to access up to four SD flash memory cards, using a hardware- driven implementation of the SPI serial protocol . There is a 32 MB SD card plugged into Unit 0, the socket on the left. The D16/M peripheral documentation follows. All docs are in Adobe PDF fromat, except those specifically indicated otherwise. MEM_SCH Schematic Diagram of the Main Memory/Bus Terminator Module. SPIO_SCH Schematic Diagram of the Serial/Parallel I/O Module. SDIO_SCH Schematic Diagram of the SD Card Interface Module. 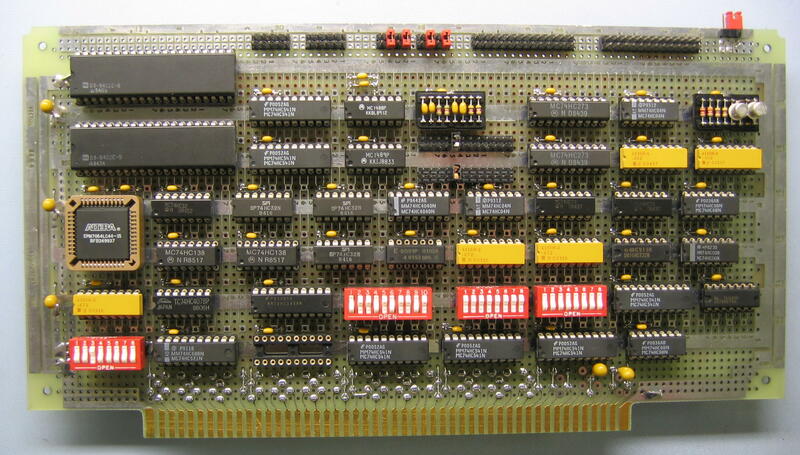 membd_layout Component layout for the Memory Module. spio_layout Component layout for the Serial/Parallel I/O Module. peripheral_design_notes (HTML) Design and Construction Notes for the D16/M peripherals. Copyright TimeFracture 2005 - 2006.